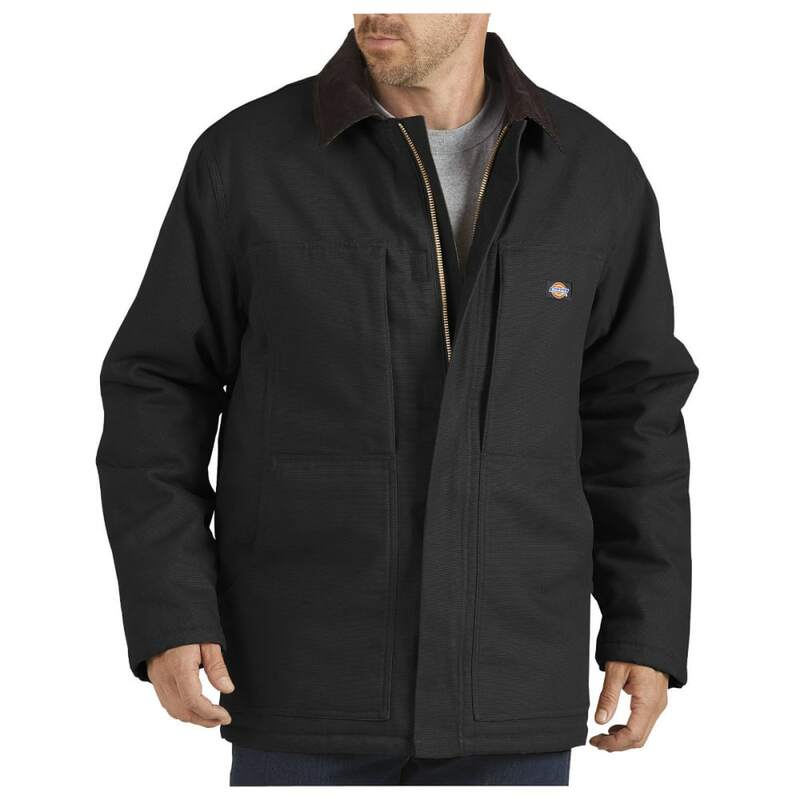 This sanded duck coat from Dickies features hand warmer pockets with hidden storm cuffs to help you brave the toughest elements. It is constructed of 12 oz. 100% cotton sanded duck with an 8 oz. 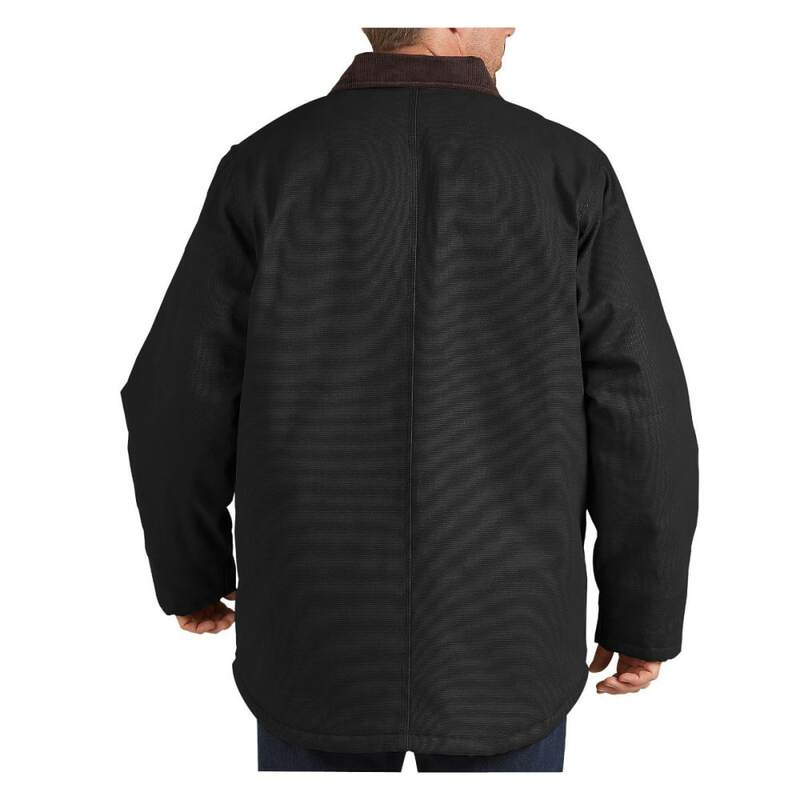 100% brushed polyester tricot diamond quilted lining with polyester fill. It has a sleeve lining is made of 6 oz. 100% nylon taffeta quilted to polyester fill. Fabric Content: 12 oz. 100% cotton sanded duck with an 8 oz. 100% brushed polyester tricot diamond quilted lining with polyester fill, sleeve lining is made of 6 oz. 100% nylon taffeta quilted to polyester fill.